A burger joint based out of Hawaii has been forced to close down one of its restaurants in Honolulu after a video emerged of employees cooking a rat on the grill. The burger chain is called Teddy's Bigger Burgers and its Honolulu restaurant has been closed for cleaning after the video went viral. The Mapunapuna location of Teddy's Bigger Burgers has closed for sanitation and has fired two employees who posted a Snapchat video of the incident. Richard Stula, the president of the burger chain said in a statement, "We are horrified that a former teenage employee would conduct themselves in that way and make such a video of which we are investigating its authenticity." The company decided a "complete sanitization" was the best way to handle the incident and is replacing all equipment including utensils at the restaurant. The video was shared with the company several days ago, according to Stula. "We will then send a corporate team in to inspect and complete a thorough audit of the location before it is allowed to re-open," Stula added. In order to ensure the fast food restaurant is up to standards, the state Department of Health will be inspecting the Mapunapuna Street restaurant. 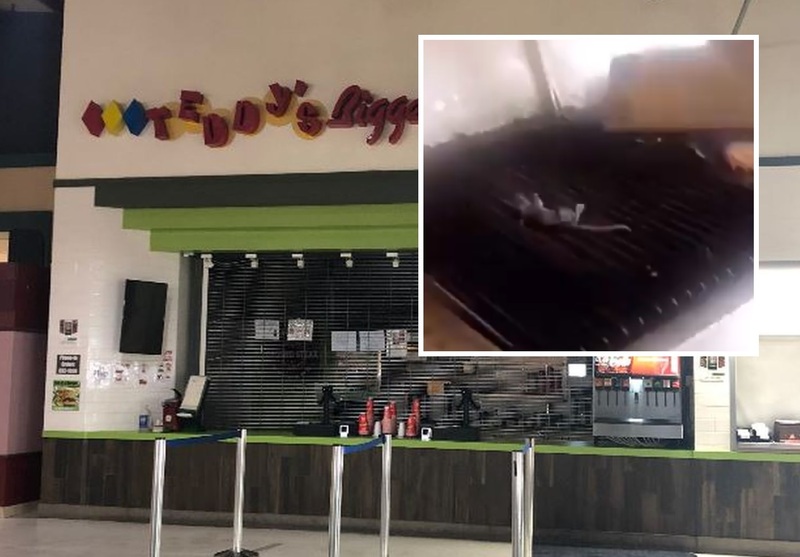 The company behind the burger chain has also contacted a licensed pest control operator who will be inspecting for rodents at building in question. Peter Oshiro, the state's environmental health program manager said in a statement, "DOH appreciates the remedial and proactive efforts undertaken by the restaurant owner to protect public health." The restaurant was inspected last June and was given a passing green placard. Teddy's Bigger Burgers has also taken a precaution of consulting with its attorney's about any potential legal action against the employees behind the stunt. "We are horrified a former employee would create something like this trying to destroy our reputation without regard for our 20-plus years of quality and aloha," Stula said.